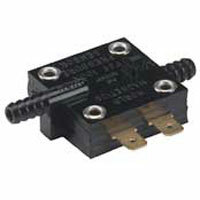 Switches are sensors with an electrical contact output at a specific pressure. 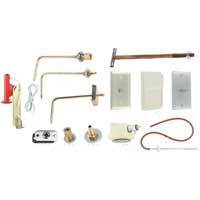 Used on air, non-corrosive gas or liquid service compatible with wetted parts. 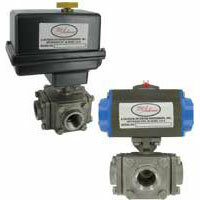 Applications vary from Single Pressure Switch to switch. 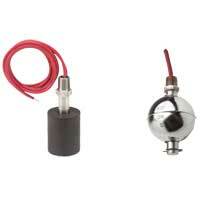 Mini Pressure Switch is designed for high current applications. These products are small and inexpensive. Compact and lightweight where models are built to specification. 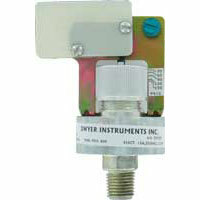 Snap-Action Pressure Switch is designed for controlling pressure with higher current capacity. SPDT contact. Diaphragm operated and compact size. 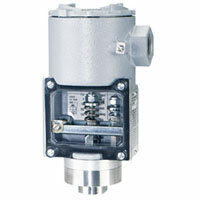 Diaphragm Operated Pressure Switches are weatherproof and economical. The design maintains a constant effective area to minimize friction. Weatherproof Diaphragm Operated Pressure Switches have weatherproof housing and have a new design that provides high over-pressure protection. 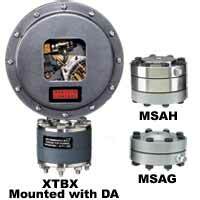 Diaphragm Operated Pressure Switches are compact for instrument air or other low pressure applications. Weatherproof and applies to instrument air. 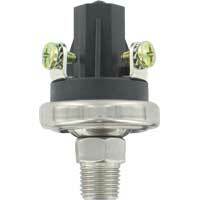 Diaphragm Pressure Switch combines advanced design and precision construction in small size. 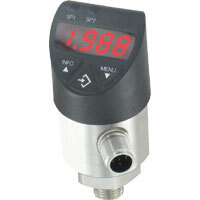 Operates in any position and is vibration resistant. 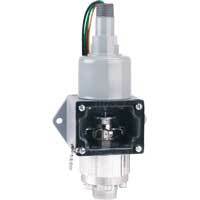 Adjustable Pressure Switch is a reliable switch for pressure/vacuum alarm, shutdown or control. Stainless steel made for durability. 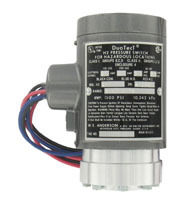 Applications include OEM and motor control. 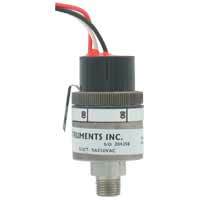 Economical Pressure Switch is designed for direct control of pumps and motors. 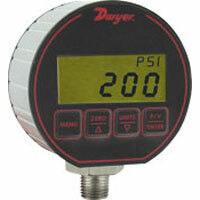 Available in pressure, vacuum, or compound ranges. Can be mounted in any position. Diaphragm Seal prevent corrosive or other damaging pressure media from entering the pressure power element in pressure or different pressure controls. 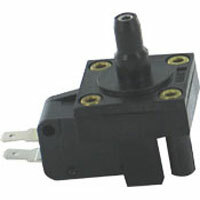 Miniature Vacuum Switch is a compact, lightweight, and adjustable which is designed for OEM applications. 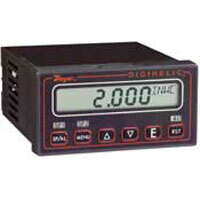 Other applications include HVAC, dairy systems, medical, office equipment, and pump control. 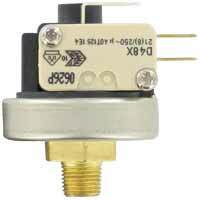 Subminiature Pressure Switch is designed for OEM applications and is economical and equipped with high proof pressure capabilities. 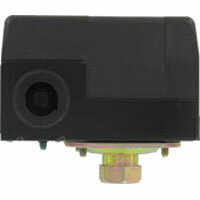 Miniature High Sensitivity Pressure Switch can be used with air or compatible fluids and ideal applications is for turning pumps and compressors on and off when level change. 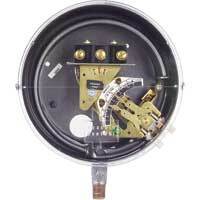 Compressor Pressure Switch is used for direct control of pumps and motors. 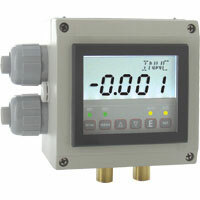 Perfect for regulating tank pressure on small air compressors. 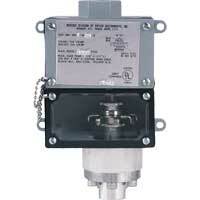 Water Pump Pressure Switch is popular for use on water well pumps and pumping systems. 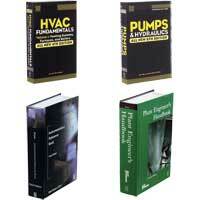 Applications include electric water pumps, well pumps, and pumping systems. 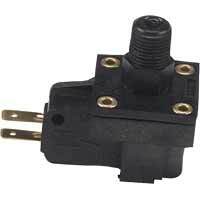 Durable Pressure Switch is designed to stand up to extended duty applications. 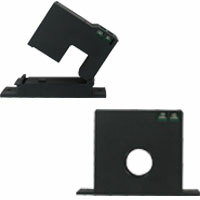 Can be mounted in any orientation. 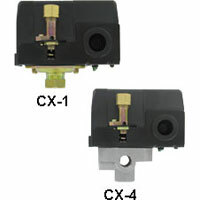 Compact and applications include OEM and process applications. 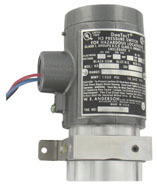 Explosion-Proof Diaphragm Operated Pressure Switches has a Bellville spring which permits mounting of control in any position and helps prevent contact chatter. 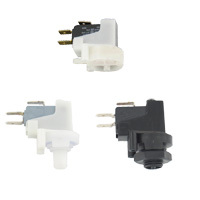 OEM Pressure Switch is ideal for OEM applications and the open case style is perfect for panel mounting application like pump skids. Weatherproof and does not use external relays. 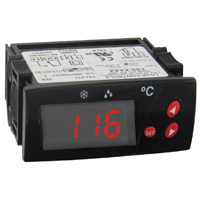 Electronic Pressure Controller is versatile and compact. Weatherproof housing and features include zero set, adjustable dampening, menu lock out, peak and valley indication, and adjustable time delay. 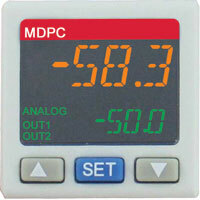 Mini Digital Pressure Controller is a slim sensor that is light. 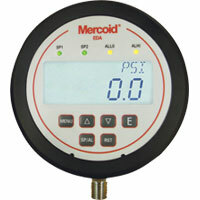 Supports many installation methods and features high measurement accuracy. High shock and vibration resistance. 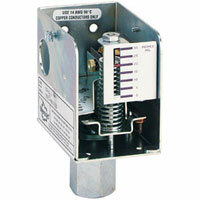 Will the MVS series vacuum switch work if they are in the box with the vacuum. I need to signal when the vacuum in the box, in which the switch is placed reaches a level. The electrical connections are through a hermetic connector on the box. No, the MVS needs to be mounted externally to the vacuum in a reference area or an area open to the atmosphere and connected to the vacuum source via appropriate process tubing depending on the model.